The BearExtender n3 Wi-Fi adapter has one purpose: To extend the range of your computer’s built-in Wi-Fi radio, allowing you to send and receive wireless signals over far greater distances than the radios built into standard Macs and MacBooks. The BearExtender is cheap and it works; its only problem is a confusing software interface. Based on technology originally developed at the University of California at Berkeley (home of the Cal Bears, hence the name), the BearExtender isn’t useful on college campuses alone. Anytime you’re trying to connect over long distances—in a city hot-zone, say, or a corporate campus—the BearExtender could help. The BearExtender’s hardware is a rather large adapter that attaches to your Mac’s USB port. That adapter can connect via a short, flexible USB cord or a longer USB cable (primarily for desktop users); with the longer cable, you can use an included clip to attach the adapter to your laptop’s display. In any case, you’ll likely want to remove and then reattach the antenna whenever you move your machine; it’s too large and unwieldy to leave connected all the time. That adapter is large because the radio it encloses is so high-powered: The Bear Extender blasts out wireless signals with more than 20 times the raw power of the Wi-Fi radio Apple builds into its current devices. In testing, I found the BearExtender a wonder. In places where a 2008 MacBook (polycarbonate plastic) couldn’t get a strong signal, the BearExtender produced nearly maximum signal strength—even when metal doors, solid concrete, four walls, and one ceiling were in the way. I was able to receive a strong, usable signal from a 2008 AirPort Extreme Base Station that was nearly a block away, while standing outdoors and seeing at least 20 other networks. The MacBook’s built-in adapter worked only at a quarter of that distance. Of course, there are some drawbacks. Boosting signal strength doesn’t necessary produce a cleaner signal; the BearExtender could drown out weaker devices that previously worked fine. And the BearExtender works only in the 2.4 GHz band, which is prone to interference; it doesn’t work in the cleaner 5 GHz band. But 2.4 GHz works better over distances and through objects, and it’s also less expensive to implement; the tradeoff makes sense. The Bear Extender works with virtually all Macs; the original iBook (clamshell variety) and the 2008/2009 Mac Pro and Xserves running 10.6 in 64-bit mode are the only exceptions. The BearExtender’s only serious problem is its software. BearExtender provides an off-the-shelf utility from Ralink, makers of the adapter’s chips and radio. Ralink chips have been inside many great devices that I’ve tested over the years. But the company has no idea how to create a decent software interface. The flaws are everywhere. Look at the Wireless Utility’s tabs—Profile, Link Status, Site Survey, Statistics, Advanced, WPS, and About—and guess which one you’d open to make a connection. (The answer: Site Survey.) Want to create a network profile? Open the Profile tab, but be prepared for an interface that only an engineer could love; such settings as RTS Threshold, Tx Power, and others should have been hidden in an Advanced pane. The BearExtender's Profile tab is full of options that will be meaningless to most users. The manufacturer should have taken the time to design a simplified front-end of its own, with fewer options, leaving the Ralink utility for more advanced users or more complex configurations. Perhaps the reasoning is anyone who is technically astute enough to know he needs a Wi-Fi signal booster won’t be bothered by it. But I think average users will be. BearExtender n3 lives up to its quirky name: it’s a bear of a wireless extender, that does just what it says (and does so for a very nice price). Just be prepared for some trial and error when you configure it. 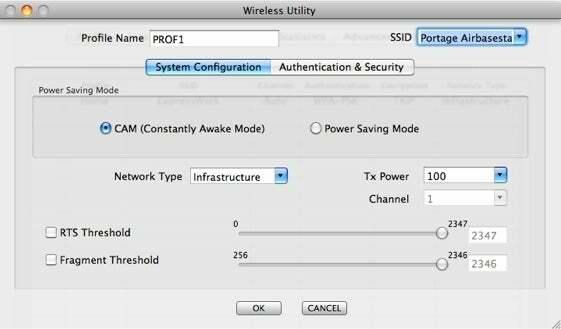 Glenn Fleishman has written about Wi-Fi for a decade, and is the author of Take Control of Your 802.11n AirPort Network (TidBITS Publishing, 2010).